important too? 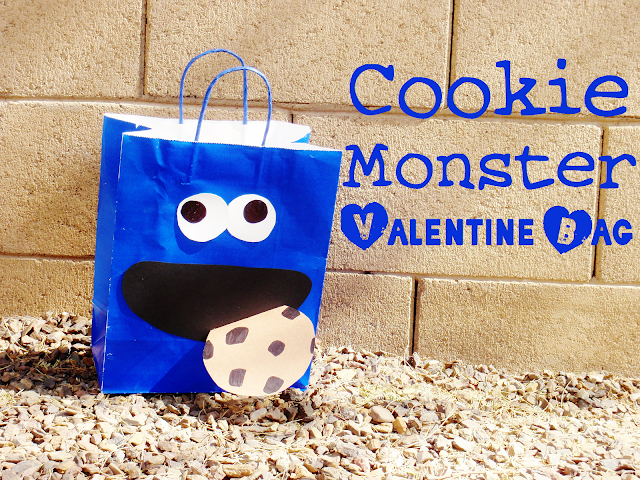 ;) I made this cute Cookie Monster Treat Bag that would also make just an adorable gift bag/goody bag! Glue on eyes (color white circles with marker), mouth (big, curved black paper shape), and cookie (partly folded brown circle with marker choco-chips). You're done! That was easy!